BIG97 hits over 300cfm flow! 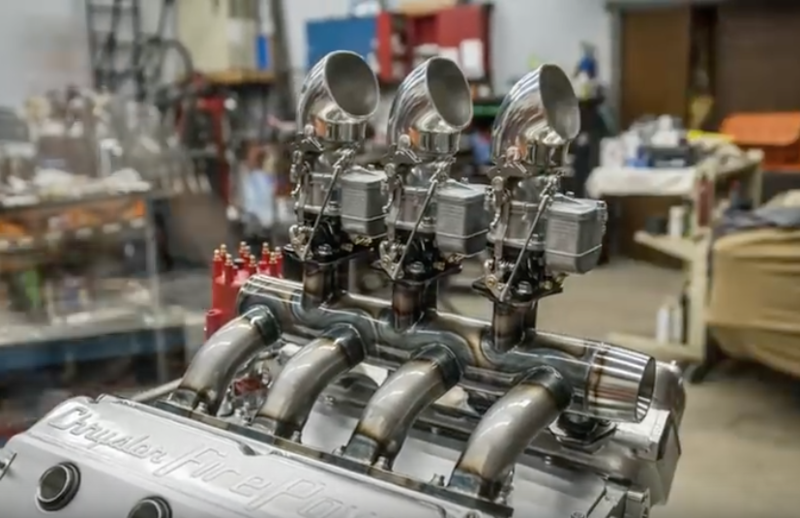 We have been testing our BIG97 carbs recently to see how much cfm we can get out of a modified carburetor, with our consultant Norm Schenck at Competition Fuel Systems in Michigan. The vertical manometer shows the vacuum pulling air through the carb – 20.4″ H2O, which is 1.5″Hg. 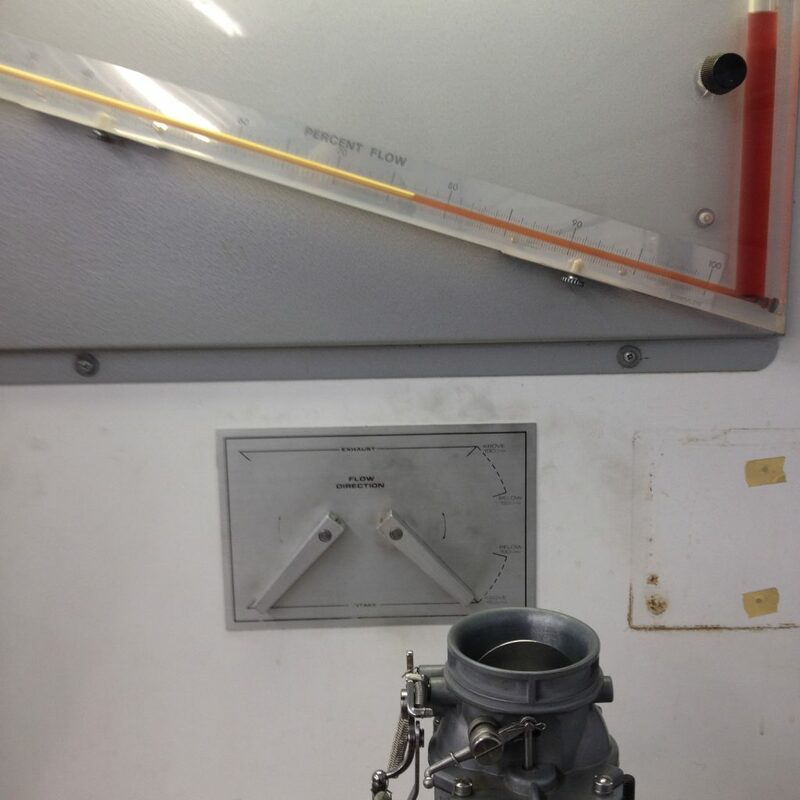 The handle on the front of the flowbench, below the carb, is set on the 400cfm scale. The inclined manometer shows the volume of air going through the carb as a percentage of that 400cfm scale. In this case, 77% of 400 is 308 cfm. 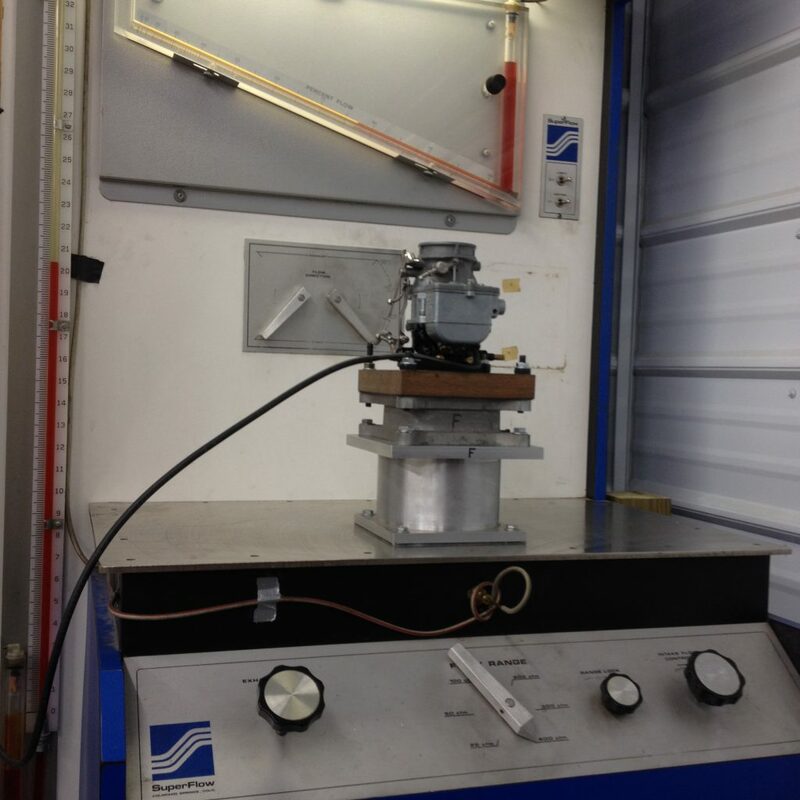 There is a probe inside the 5″ cylinder below the carb, with a small correction factor that makes the airflow correct in term of the Superflow flow calibration plate. Applying that correction factor brings the flow to 300.5 cfm, though what looks like a regular Stromberg 97! !